Golden yellow petals on very strong sturdy stems. 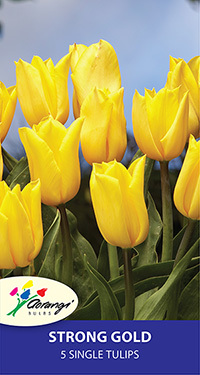 The ultimate yellow tulip. Early-mid season flowering, 45cm tall.